Day-to-day operations of either a single facility or multiple facilities, potentially affect the surrounding natural environment. Understanding the operational requirements of a facility and the potentially resulting environmental effects is a key component of due diligence, particularly for property owners and managers. Environmental Compliance Audits to ascertain if operations are meeting applicable regulations, guidelines and standards. Environmental Management Systems (EMSs) designed to facilitate an organization’s environmental goals by addressing operational performance/procedures. Environmental Compliance Approvals (ECAs) to oversee emissions and discharges into the natural environment resulting from operational processes. Storage tank services including audits, upgrades and removals for storage tank systems present at facilities (to provide fuel for equipment or store chemicals used during manufacturing processes). Effluent Monitoring/Sampling to document/confirm discharges are proceeding as intended. Potable Water Sampling to test and manage water provided to the general public. These services are completed individually or packaged together as part of a cost-effective approach tailored to a particular facility of operation. Environmental Compliance Audits investigate an organization’s level of compliance with environmental statutes, regulations, local laws and other identified criteria. Organizations can use Compliance Audits to: demonstrate due diligence; serve as an early warning of potential environmental problems; determine adherence to their Environmental Management System (EMS); and/or, prioritize environmental upgrades. The collection of information on operational procedures, chemical storage and handling. A site inspection visit to review operational procedures and practices. Interviews with corporate personnel responsible to oversee facility operations. Data collected during the audit is reviewed to determine the level of compliance with applicable environmental legislation as well as with corporate objectives, standards and criteria. Any identified deficiencies or issues of non-compliance are reported to the client, along with proposed corrective actions and mitigative measures to address ongoing environmental efforts. Terrapex’s team of internal and external environmental auditors all have over 20 years experience in the environmental industry. They have audited facilities for various industrial sectors, including the aerospace, automotive manufacturing and telecommunications industries using the protocols prescribed by the Canadian Standards Association (CSA) Standard Z773-03. As an added value to the audit process, Terrapex provides best management practices to address specific environmental issues/concerns or where opportunities for operational improvement are identified. An Environmental Management System (EMS) establishes the framework for an organization to achieve its environmental goals. This is undertaken by outlining the management structure, responsibilities, practices, procedures, processes and resources required to identify and reduce an organization’s environmental impacts while increasing operational efficiencies through consistency in ongoing operations. The framework is not prescriptive, but rather tailored based on an organization’s commitment to environmental protection, risk management and sustainable development. Terrapex’s team of internal and external resources has the capability and expertise to provide an EMS that addresses both regulatory requirements and client corporate requirements in a systematic and cost-effective manner. This proactive approach reduces potential risks of non-compliance and improves health and safety practices for employees and the public. Analyzing potential environmental impacts and legal requirements. Setting objectives/targets to reduce environmental impacts and ensure operations proceed in compliance with regulatory or legal requirements. Establishing programs to satisfy objectives and targets. Monitoring and measuring progress in achieving the objectives. Educating and training employees to increase environmental awareness and competence. Reviewing progress of the EMS. Improving/updating the EMS based on legislative updates and client corporate requirements. In Ontario, an Environmental Compliance Approval (ECA) is required by the Environmental Protection Act (EPA) for a facility whose operations potentially impact the natural environment. An ECA can be obtained to address air emissions, noise discharges, generated waste streams or sewage/effluent generated during ongoing operations. Once issued, they require upgrading following alterations to facility operations or infrastructure. Terrapex staff have the technical expertise to obtain the information required, prepare and submit a comprehensive application package and then follow-up with the Ontario Ministry of the Environment and Climate Change (MOECC) to successfully acquire an ECA in a timely fashion. This includes regular liaison and communication with both the client and the MOECC so that the ECA application proceeds smoothly and efficiently. Our environmental professionals also critically review current and historic ECAs (previously known as Certificates of Approval) as part of an ongoing Compliance Audit and/or historical search of a property, to gain a better understanding of potential environmental concerns. All ECAs are implemented using a practical approach to streamline the application process and consolidate approvals. In many cases, individual ECAs at the same facility can be consolidated into a single ECA, resulting in increased operational efficiencies while reducing future paperwork in the event of future modifications/upgrades. Aboveground and underground storage tanks (ASTs and USTs) are common at commercial and industrial sites and may also be present on residential properties (particularly those in rural or remote areas). They store fuel for equipment/fleets, oil to heat commercial/industrial/residential buildings, or chemicals used in manufacturing processes. 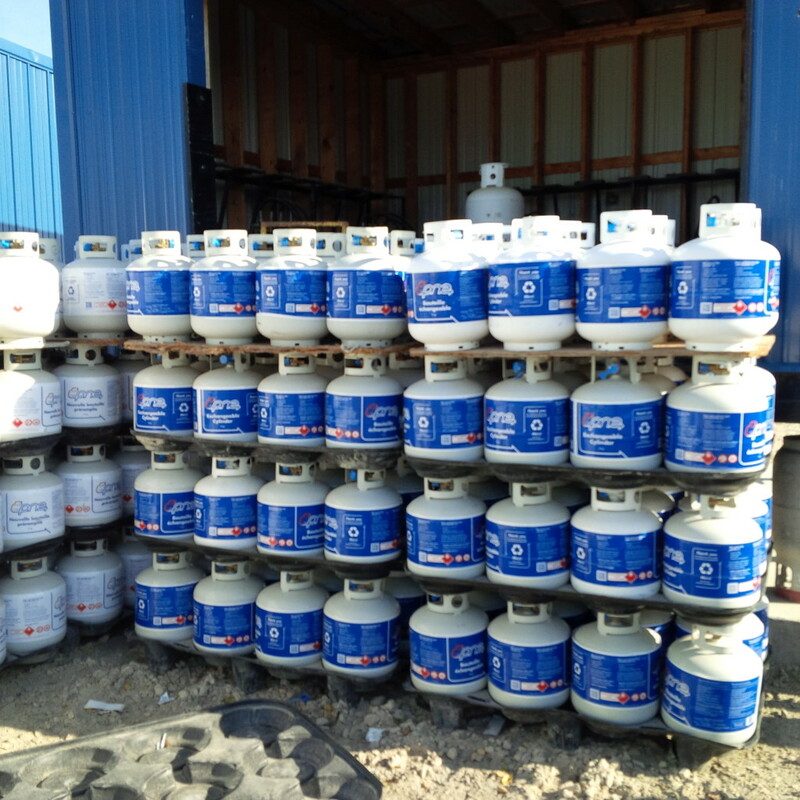 Industrial/commercial building owners, property managers and residential homeowners are responsible for ensuring that storage tanks and storage tank systems are installed, operated, maintained and inspected in accordance with governing regulations. Since our inception 20 years ago, Terrapex has completed hundreds of environmental projects at facilities and properties with storage tank systems. As a result, our staff have developed the technical expertise to address various storage tank issues, from compliance to investigation and remediation of impacts. Based on our experience and understanding of applicable regulations, Terrapex develops and presents storage tank training programs designed for managers and operators of storage tanks systems, as well as homeowners with heating oil tanks. Audit a storage tank installation or system in accordance with provincial and federal standards/regulations. Provide follow-up recommendations for repairs and upgrades to equipment to ensure compliance. Supervise the decommissioning of storage tanks storing fuels, oils and solvents. Provide engineering services to develop the scope of work, prepare technical specifications, and supervise the execution of the contract. Terrapex undertakes entire storage tank system projects on a turn-key basis. In the event that contaminated soil and/or groundwater is identified during the storage tank project, Terrapex is experienced in both in-situ and ex-situ remediation. Commercial and industrial facilities regularly generate and discharge effluent from ongoing manufacturing, assembling, processing or cooling/heating operations. As a matter of due diligence, facilities generating and discharging process wastewater should assess compliance with the applicable regulations and municipal bylaws on a regular basis. In situations where effluent is discharged into a local sanitary or storm sewer system, municipal sewer use by-laws restrict the type, quality and quantity of wastewater discharges permitted. Commercial and industrial facilities connected to such sewer systems are required to meet sewer criteria established by the local municipality and/or satisfy the terms and conditions of a sewer use discharge agreement issued by the local municipality. Terrapex provides the technical expertise needed to develop a cost-effective, practical approach to address your wastewater and effluent discharge needs. Review compliance with applicable regulations or guidelines. Recommend follow-up measures to address any issues of non-compliance. Design, optimise and troubleshoot new and existing treatment processes for discharge regulatory compliance as well as pre-treatment for controlling sewer use by-law surcharges. Prepare and submit a Pollution Prevention Plan (P3), where required by local municipalities. Commercial, industrial, institutional or communal facilities regularly provide potable water to the public who use or visit them. In situations where the potable water is not obtained from a municipal water supply, it is up to the facility to operate and maintain a potable water system. As a matter of due diligence, these facilities should assess compliance with the applicable provincial and municipal regulations and document that the water from their potable water system is suitable for public consumption. Potable water obtained from a surface water body (i.e., a river or lake) is managed and regulated differently than that obtained from a groundwater aquifer (from a drilled or dug well). However, in all cases both the source of the water taking and the ongoing storage, handling and distribution of the water must be shown to be suitable for the task at hand. Terrapex provides the technical expertise needed to develop a cost-effective, practical approach to address your potable water supply needs. Sample source water (location of water taking), storage locations (holding tanks, etc.) and distribution points (locations of consumption, such as sinks or taps). Design, optimise and troubleshoot new and existing treatment processes. Prepare and submit Engineers Inspection Reports, documenting the installation, operation and maintenance of the potable water system(s) at the facility.